Curry. Just typing it makes me miraculously hungry and happy at the same time. 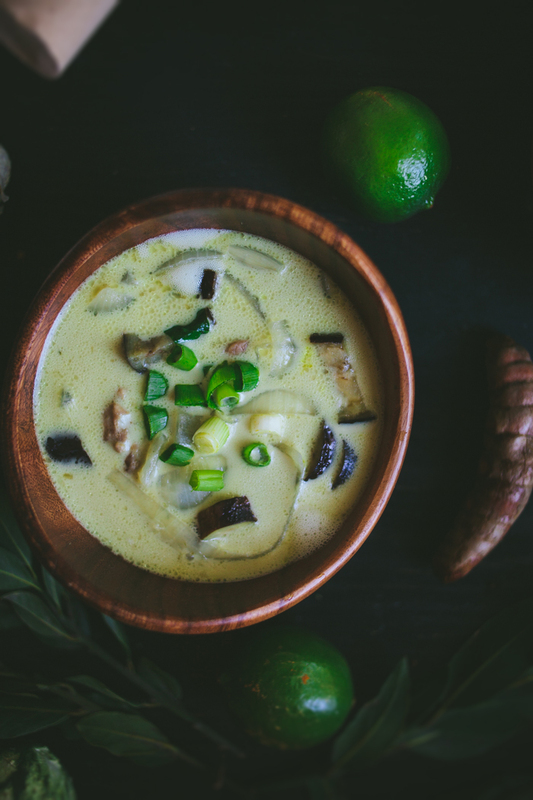 Coconut curry was one of the many flavorful dishes I learned in Thai cooking school, and, very unsurprisingly, it was my absolute favorite one. 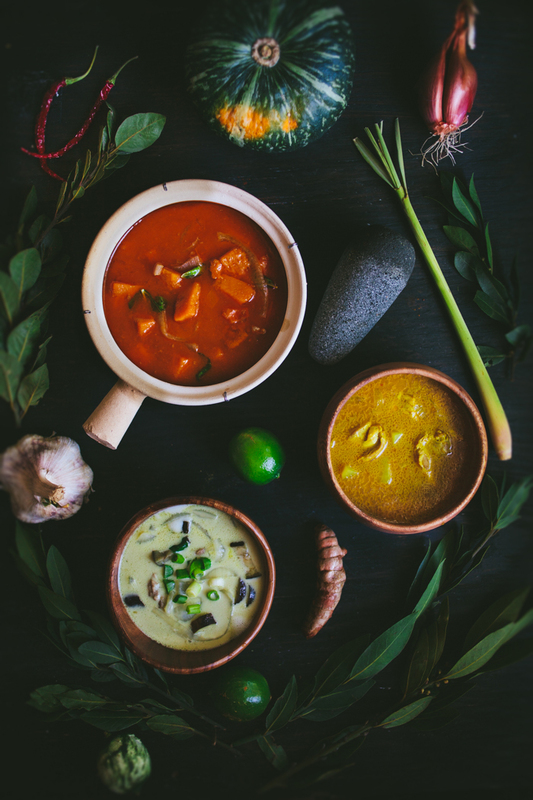 Something about curry has always had a strong appeal to me; maybe it’s the soothing coconut combined with the spicy flavor profile, or the way it manages to be rich and refreshing at the same time, or maybe it’s simply the rainbow of colors it comes in. 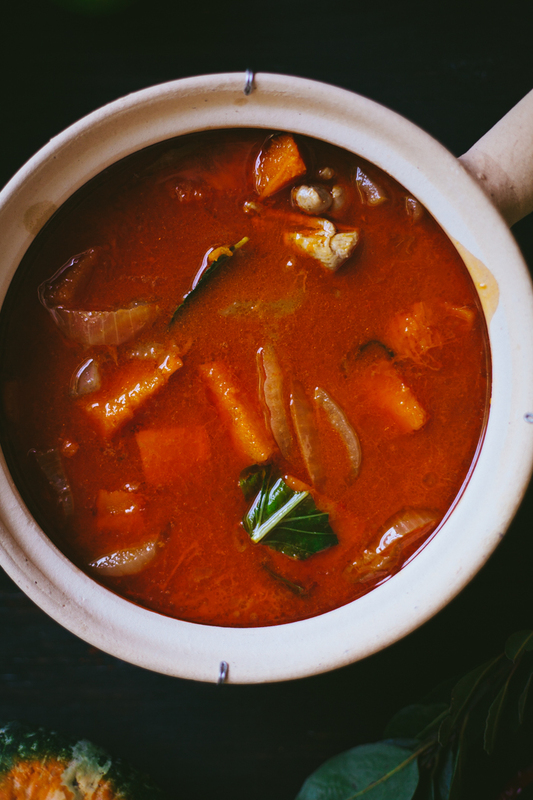 But from the moment the first Thai curry touched my lips, (the pumpkin red curry from the Thai restaurant down the street from my parents’ house in Oregon, to be exact), there’s been a long and loving relationship between us. Red curry has always been my favorite of the three general varieties, but while in Thailand I came to appreciate the other two much, much more, and so I decided to share a recipe for a basic curry that will work with a red, green, or yellow curry paste, and of course recipes for each of the pastes. 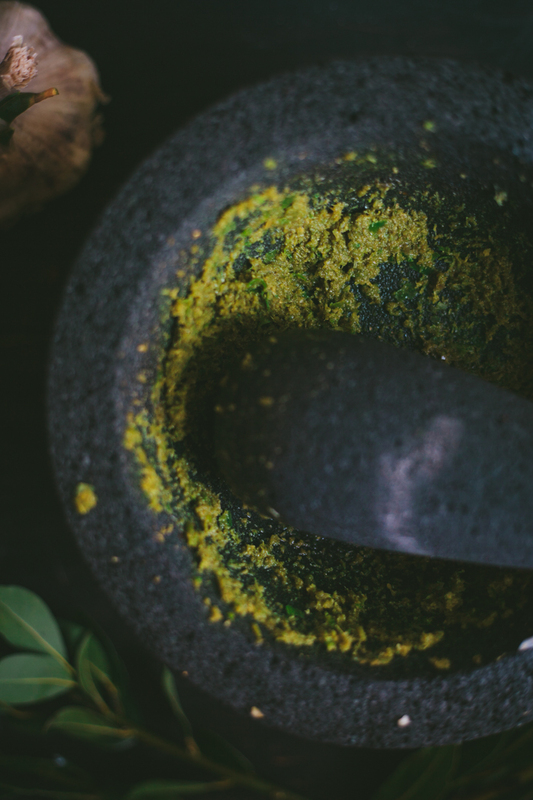 The key to making curry paste easily is to use a rough stone mortar and pestle. 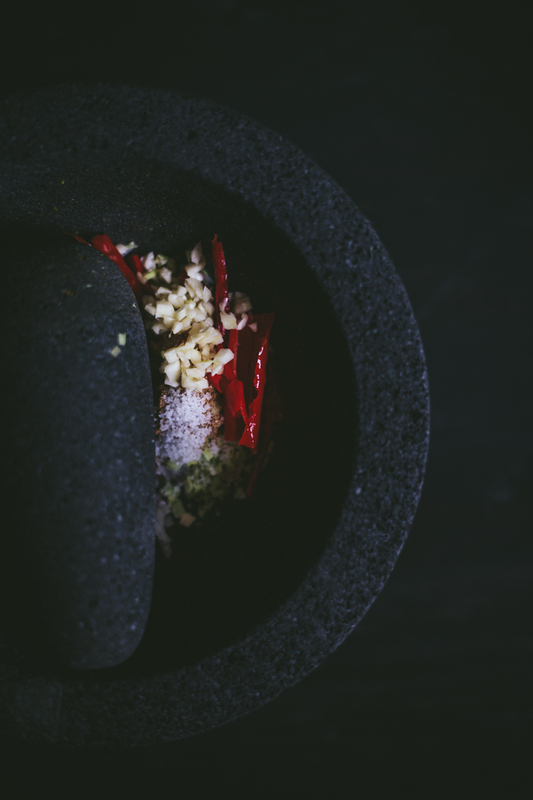 The rough surface of the stone provides enough traction and grit to grind down the ingredients, whereas the smooth mortar and pestles will take much longer and more effort to grind everything down. I suppose you could also use a food processor, but I really enjoyed doing it the old fashioned way and found the smashing of the mortar to be strangely exhilarating. Just pummeling away any excess stress or anxiety into a fragrant, creamy, delicious curry. And since you’re going through the effort of making it from scratch, I’d recommend doubling or tripling the batch, then scooping it out in little tablespoon heaps on a baking sheet and freezing it, then dumping the little frozen tablespoon servings into a freezer-safe ziplock bag and keeping it in the freezer so you have pre-measured it on an as-needed basis. 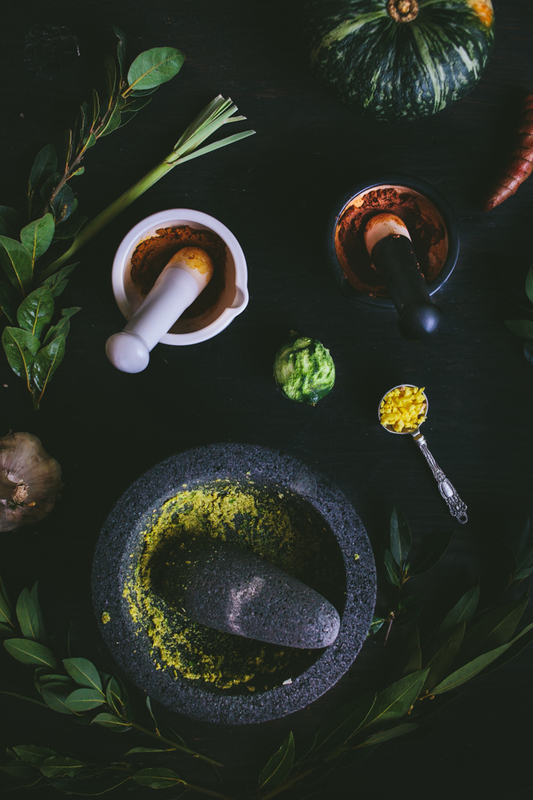 Crush all the curry paste ingredients together with a rough stone mortar and pestle until a smooth paste forms, or blend all the ingredients together in a food processor. Cover and set aside. 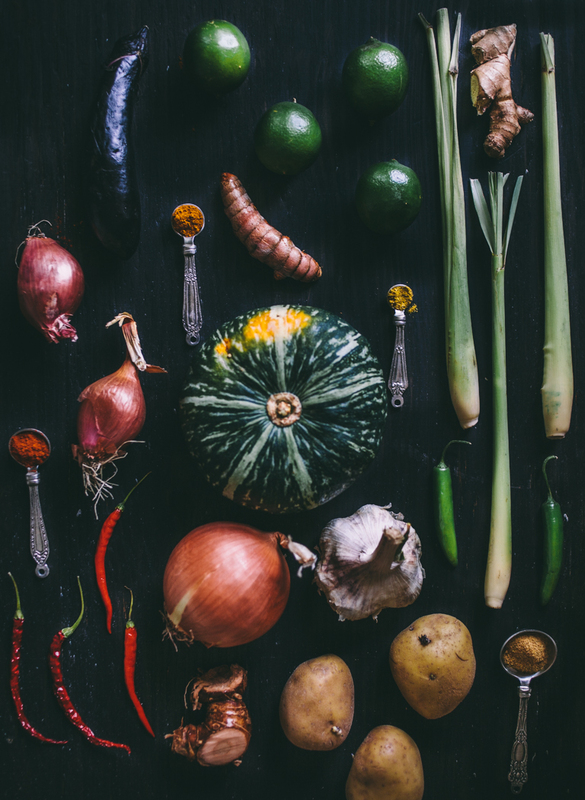 I recommend doubling or tripling the curry paste recipes, then scooping the paste out in little tablespoon heaps on a baking sheet and freezing it, then dumping the little frozen tablespoon servings into a freezer-safe ziplock bag and keeping the bag in the freezer so you have it on hand in pre-measured tablespoon servings for a good long while. Also, to toast the coriander and cumin, place them in a small frying pan over medium heat for about 1 minute until fragrant, then remove from heat. Begin by making the curry paste. 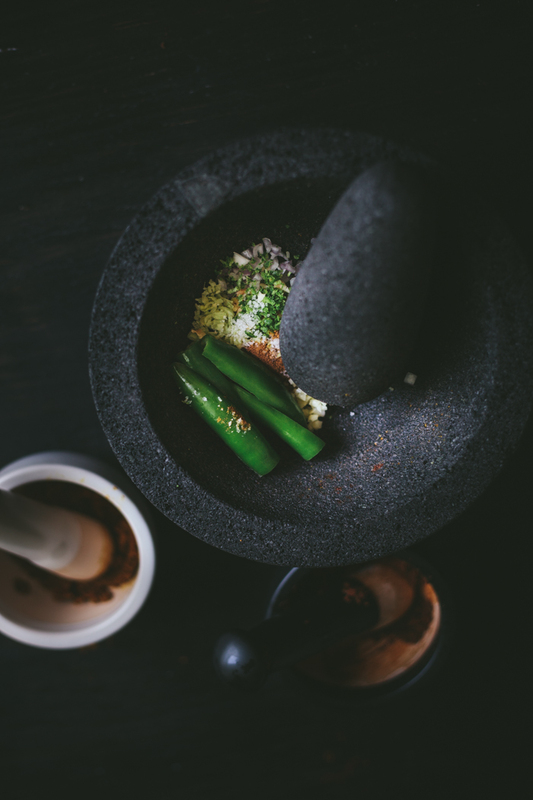 Crush all the curry paste ingredients together with a rough stone mortar and pestle until a smooth paste forms, or blend all the ingredients together in a food processor. Cover and set aside. Smmer the meat in boiling water until nearly cooked through, remove from water and set aside. 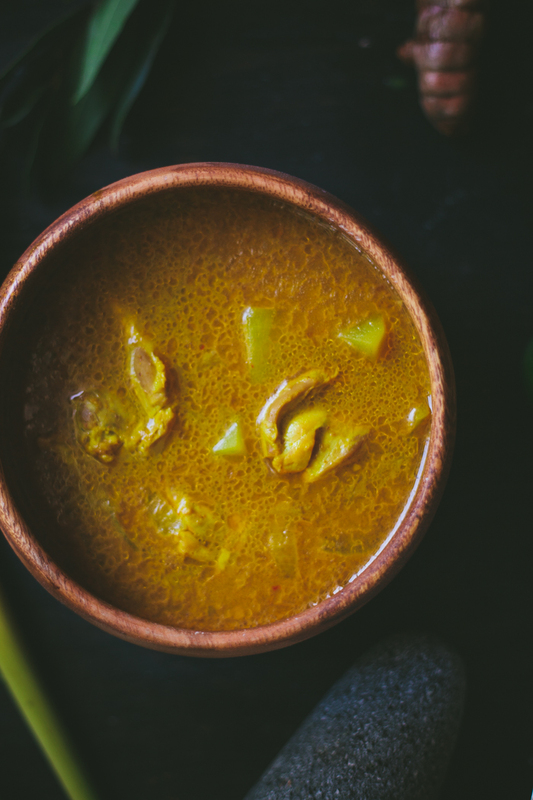 In a medium-sized pot, bring the coconut milk and curry paste to a simmer over medium low heat. Allow to simmer for 5 minutes, stirring every minute. Add the fish sauce, brown sugar, water, vegetables, and onion and simmer until the vegetables are nearly done, (length of time depends on type of vegetable, i.e. potatoes take longer to cook through than mushrooms). Add the meat, lemongrass, basil and kaffir lime leaf and simmer for about 5 minutes or until the meat is completely cooked through. Remove from heat and serve immediately alongside the cooked jasmine rice.